NIS America is pleased to announce that SNK 40th Anniversary Collection will be available in Europe on Nintendo Switch in autumn 2018. Before the end of the year, SNK 40th Anniversary Collection will be scheduled. 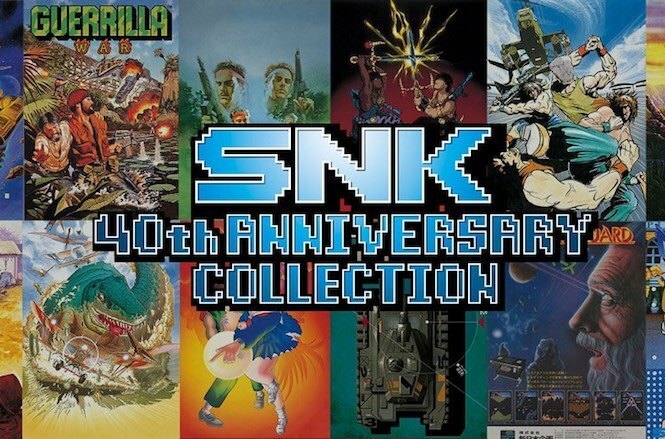 The 40th anniversary of the legendary SNK studio marks in 2018. To celebrate this milestone, a wide selection of SNK’s Golden Age classic arcade games will be back in a great anthology on Nintendo Switch that is SNK 40th Anniversary Collection. The both games have been greatly improved, such as graphics and in their maneuverability. The complete history of SNK awaits you in the “Museum” mode. Discover the legacy of Japan’s leading developers through high-definition illustrations and original promotional visuals. The SNK 40th Anniversary Collection resolution will be upgraded to 1080p. A limited edition on physical media will also be released.